I had read a lot about this but wasn't bothered in the past. I had purchased a number of the cheaper alternatives from l'Oréal - the Color Infallible Eye Shadows - incidentally those are also Not Bad At All (and a fraction of the price of the Eyes To Kill (remember, Armani cosmetics is owned by the L'Oréal group). 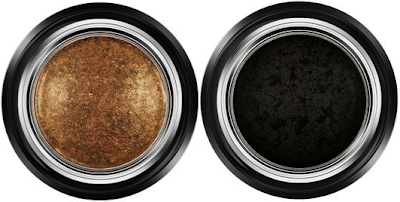 This is an intensely pigmented formulation, and is wonderful for creating a really quick smokey eye. It can be used either dry or wet (although to be honest, it's so unbelievably pigmented, that there's very little difference with the finish if you use it wet or dry). This is a long wear formula: it promises "crease proof, flake proof, waterproof, sweat-proof" wear for 24 hours, and per Armani's claims it will "slide on, stay on, but wipe off in an instant". It does last a long time (I haven't tested the 24-hour claim, but certainly it has lasted 12-hours-plus). 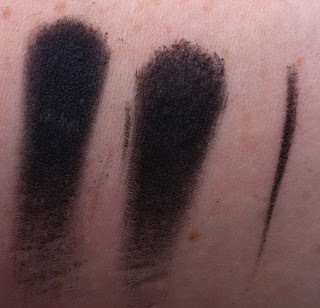 In terms of crease-resistance, I have found that it does fade and crease slightly on me (but then again everything does, whether with or without a primer) but it takes quite some time longer than other shadows (cream or powder) before it fades and creases. It can be applied in a number of different ways, my preference is for using a dense flat brush. A fluffy brush of course can be used for a more diffuse application and/or to blend-out into the socket. Each shade is a duo-chrome. Most of the shades are very shimmery, almost metallic; some are almost frosted looking. I purchased the two which looked the "most monochrome". This is a very black black, it's extremely pigmented, wonderfully smooth and incredibly long lasting. It's fabulous used either wet or dry, but as I've said before, there's very little difference. What I particularly like about this shade is that it's not a shimmery/frosted duochrome (it's not a flat matte either, it has enough shimmer to be interesting but not disco-ball); the undertone of the black shade is a shimmery navy blue. For this reason, it has become my go-to black of choice, although it's probably not the blackest black I own, it's not far off. As a side note, I dropped mine this morning. Sunny side down. It went everywhere. I am still cross! I will be replacing... it's most certainly an item I want to hand. 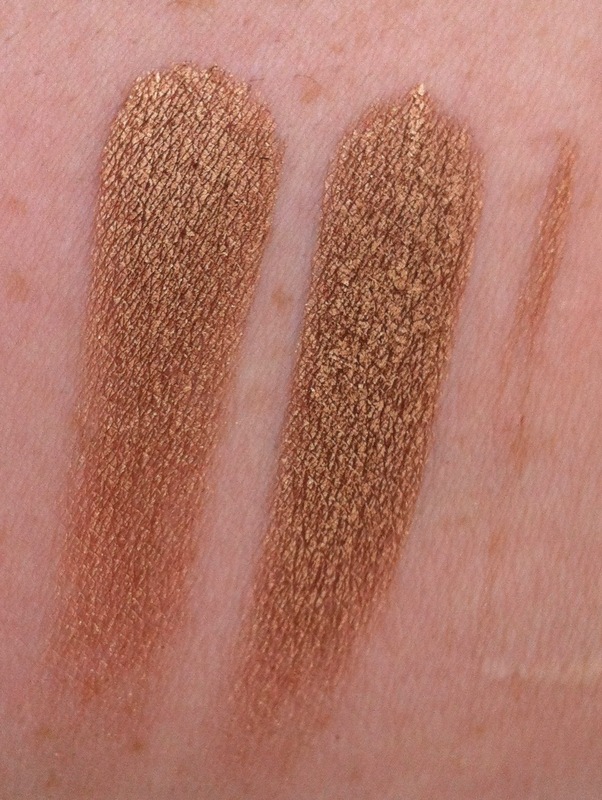 I've since also purchased this formula in 5/Gold Blitz - whereas 13/Black is a very subtly very slightly shimmery matte, the 5/Gold Blitz is highly shimmery - almost metallic - but not frosted, which is good. 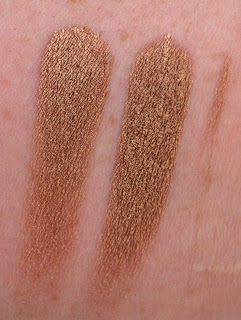 This is a warm bronzed gold shade with subtle red undertones. I like this because it doesn't have an obvious duo-chrome (same as with the black shade above). For this reason, a lot of people don't get excited about it!